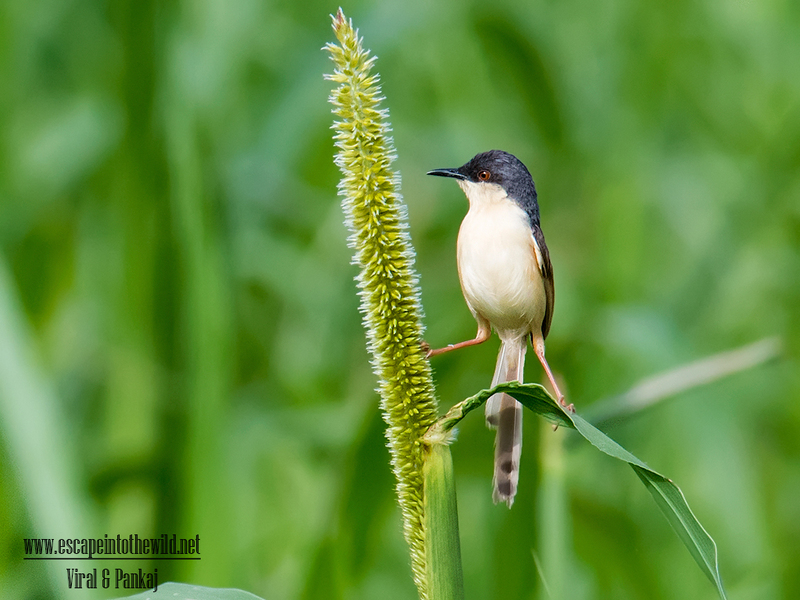 Ashy Prinia is one of the beautiful Prinia. It has beautiful ashy head. We went to our routine place of birding in Dharpur, Patan. At this time of season, we get to see lot of Black-headed Bunting in that area. We saw few Black-headed Bunting along with this beauty. It was maintaining the balance on leaf of mallet plant. When we go farther, we saw juvenile of Ashy Prinia. It looks cuter than adult. I think, by visit same place again and again you got more surprises. 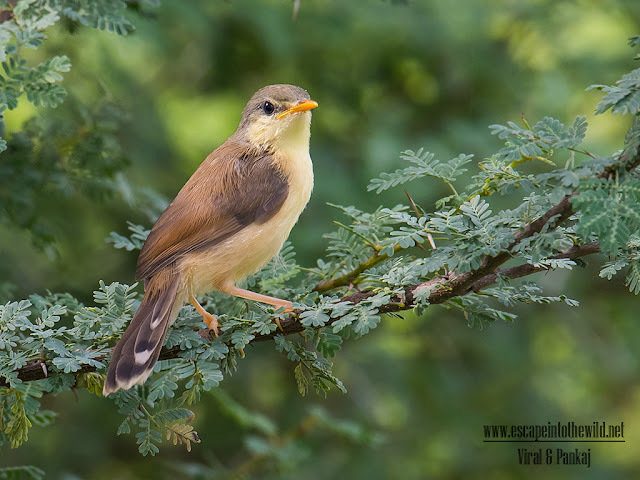 It is a common bird in urban gardens and farmland in many parts of India and its small size, distinctive colours and upright tail make it easy to identify. In breeding plumage, adults of the northern population are ash grey above, with a black crown and cheek with no supercilium and rufescent wings. In non-breeding season, this population has a short and narrow white supercilium and the tail is longer.